CooksRecipes has quality, kitchen-tested recipes for diabetic-friendly biscuits, buns, scones and rolls that you can count on for accuracy and deliciousness. 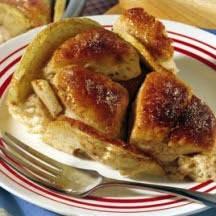 Little "apple pie" bites that are quick and easy to make thanks to refrigerated biscuit dough. 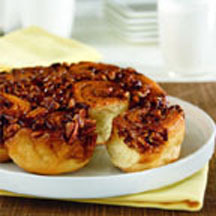 A terrific treat for guests that drop in unexpectedly. 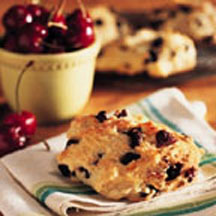 Simple to make, these satisfying scones are flavored with dried cherries and almond extract. This recipe makes three pans, so you'll have extra buns to share with friends or to freeze for another day.